Today, fact, fiction, and futures. The University of Houston's College of Engineering presents this series about the machines that make our civilization run, and the people whose ingenuity created them. Nevil Shute's books are a trouble to my mind. He foresaw the deHavilland Comet crashes in No Highway. In Ordeal he described the WW-II bombing of Britain a year before it began. He always seemed to catch a whiff of the future. We can't shrug off his nuclear doomsday in On the Beach. It hasn't happened yet, but it could. Now I've finished his 1928 The Mysterious Aviator -- another nexus of fiction and reality. An Aviator makes a forced landing during a downpour, late one night in Sussex. The book's narrator picks him up by the road and coaxes his story from him. The Aviator is an out-of-work WW-I flier who took a job in Russia, training Bolshevik pilots. Then the Russians offered him a huge sum to photograph a secret British installation near Portsmouth. We aren't told what it is -- only that it's very big, maybe a super dirigible. The Aviator finally makes a desperate try at atoning for his treason. He thinks his photographic plates have been found by the Bolsheviks -- that a group in Italy will take them back to Russia. So he sets off by boat and rail to find and destroy the plates. He doesn't know that the narrator (who'd also flown in the War) has already exposed the plates. The narrator knows the Bolsheviks will probably kill the Aviator. So he repairs the Aviator's damaged airplane and sets out to stop him in Italy. 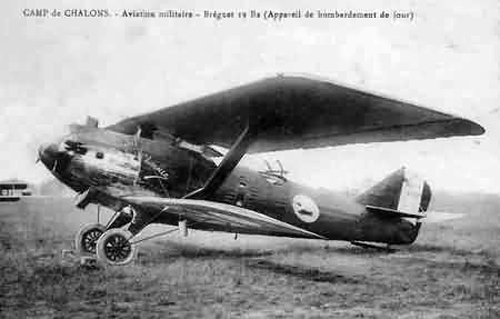 And here comes Shute's odd prescience: The plane is a Breguet 19, a large single-engine biplane built by the French after WW-I. It was designed as a light bomber, then widely-used to set long-distance records. In fact, it would later be the first plane to make Lindbergh's Atlantic flight in reverse, from Paris to New York. The narrator's England-to-Italy flight starts and ends almost exactly where Charles and Anne Lindbergh began and ended a similar flight nine years later. Shute's narrator flies into fog, then crash-lands. The Lindberghs flew into fog and almost had to make a crash-landing. But they found an airstrip at the last moment. So we read about the narrator, badly hurt, asking help from Mussolini's black-shirted police. And we can't help but remember Lindbergh's brief friendliness with the fascists. Shute's fascists are bumbling good guys who help him find the errant Aviator. The Bolsheviks are the menace. Of course this was before Hitler. Shute describes tension between the emerging communists and fascists that'd soon explode in the most horrific war we've yet to see. After I read Shute's book, I checked with an archivist who handled Anne Morrow Lindbergh's papers. He could find no hint that the Lindberghs ever met Shute -- that they ever talked about the eerie similarities of those two flights, one real, one imagined. Of course you and I know perfectly well that the future is not ours to know. But that's exactly why I find Shute's writings so unnerving -- that anyone might create fiction that so mirrors the opaque future. Then do it again and again from every crazy angle. For more on the Lindbergh flight to Italy, see Episode 2592. My thanks to Bill Massa, Head of Collection Development, Manuscripts and Archives, Yale University Library for his help and to Reeve Lindbergh for steering me to him. 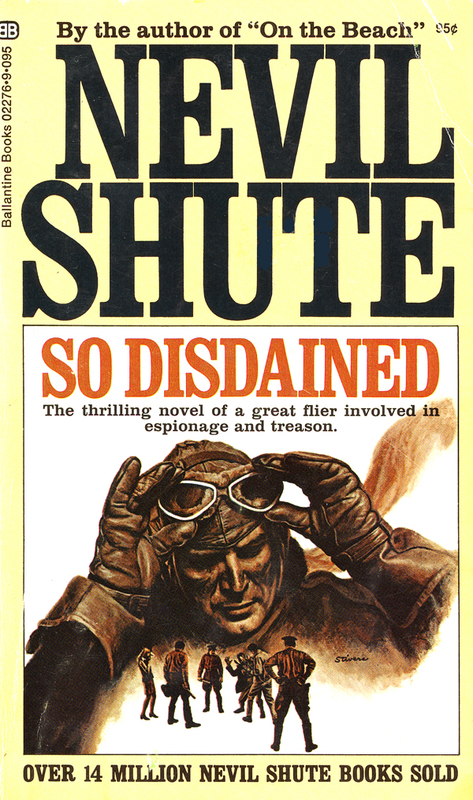 Below: Ballantine's 1971 printing of Shute's 1951 revision of The Mysterious Aviator. He took the revised title from a quote from Sir Walter Raleigh, which appeared in all editions of his book. The quote begins, "And then none shall be unto them so odious and disdained as the traitours ... who have solde their contrie to a straunger ..."